A hundred years ago, our ancestors were forced to endure the 20th century’s first Holocaust, alongside Ottoman Armenians and Assyrians. 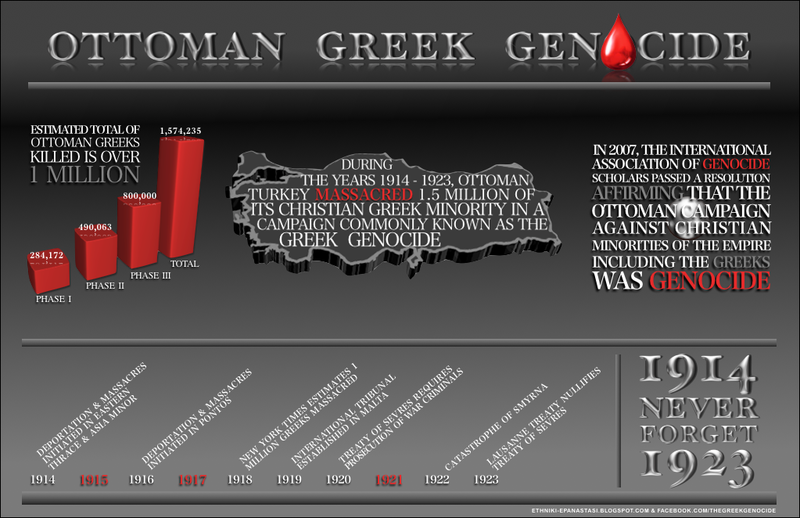 Masterminded by Otto Liman Von Sanders and the Ittihadist Ottoman Government, the Ottoman Greek Genocide saw the extermination of Thracians, Bithynians, Ionians, Cappadocians and Pontians. April 6th, or as it was referred to in 1914 “Black Easter” commemorates the deportations and massacres that initiated in Thrace, and later spread to Asia Minor and Pontos. This often forgotten phase of the Ottoman Greek Genocide is commonly referred to by Thracians as ‘the Genocide of Thracian Hellenism’. Today, Panthracian Union of America “Orpheus” commemorates not only the Genocide of Thracian Hellenism, but the beginning of the Ottoman Greek Genocide, as a whole. We honor the victims, from all effected regions, more than 1.4 million men, women, and children, who were brutally exterminated at the hands of the Young Turks. On this day of remembrance, in honor of those who were massacred in Rodosto, Adrianople and throughout Thrace, we urge all Thracian Associations, world-wide, to unite and launch a coordinated effort to force the Greek State to fully recognize April 6th, with the same respect as May 19th.